The Tracer Mod Starter Kit was designed for vapers looking to enter the world of low-resistance, sub-ohm vaping. The kit comes with the Tracer 2600mAh, mech-style tube mod available in Black or Silver with the 3.5ml adjustable airflow Tracer tank. The lower level contains three boxes: The Wall Charger, the USB Charging Cable and the accessories box contains the User Manual, a glass mouthpiece and a spare 0.5 ohm single coil head. The Tracer mod with tank is roughly 5 and 3/4" in height. The mod features a stainless steel battery thread. It is an unregulated, 2600mAh battery with a top voltage range of 4.2 volts. To charge the battery, connect the USB cable to the wall charger and the Tracer charging port. The Red LED light will turn off when fully charged. 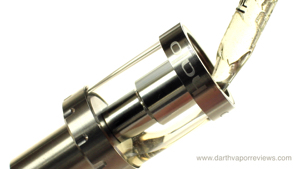 The Tracer tank is a stainless steel, adjustable airflow, 3.5ml glass clearomizer. It features the option to switch between the stainless steel wide bore mouthpiece. It can be disassembled into three main parts for cleaning. The kit comes with two 0.5ohm BTC coils. One in the box and one pre-installed in the Tracer tank. To change the coils, unscrew the old one and screw in the new one until snug. To fill the tank with e-liquid, unscrew the base from the chamber and fill about 3/4 full. Prime your new coil with a few drops of e-liquid and re-attach the base to the chamber. Re-attach the Tracer tank to the mod. 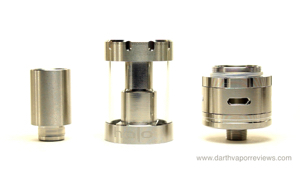 The Tracer tank has four wide slots to control airflow. Turn the dial to adjust the amount of vapor production. The Tracer mod features a simple one button design. Five clicks of the power button turns it on. Press and hold the power button to vape. The battery will auto shutoff after 15 seconds of pressing the power button. * Need to purchase additional coils. * Dim light on the power button. * Excellent performance and vapor. * Free 30ml American made e-liquid. Halo Cigs is one of America’s most popular vaping product companies. They hold the PC Magazines editors choice approval for the Triton Starter Kit and several Spinfuel Choice Awards for flavors from the V-Type High VG line of e-liquids. 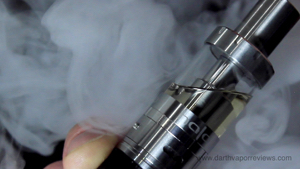 Halo Cigs offers several options for different level of vapers. If you’re new to vaping or looking to switch, the G6 Starter Kit may be for you. 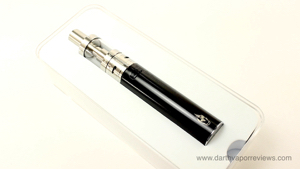 The G6 is a cigarette or analog style battery that uses Halo blank and prefilled cartomizers or mini-tanks. The Triton Single Starter Kit is a retail product that is now available online and in stores across America. The Triton Single was created for new vapers or those looking to try vaping, but don’t want to spend a lot of money on a full starter kit. The Reactor 50w box mod starter kit is perfect for all levels of vapers looking for a powerful vaping experience. Halo Cigs is also know for their premium American made e-liquid. Personally, I’m a dessert vaper and not a big fan of tobacco flavors, but Tribeca , Black Calico and Cordoba are the most authentic tobacco flavors that I have tried yet and the familiar flavor may help current cigarette smokers make the switch. Quit smoking and start vaping today! I really enjoyed using this combination. The mod is similar to the eGo One Mega and the tank is similar to the Arctic tank. Both popular devices. The stainless steel tank streamlined with the mod is a very classy look and the vapor production was excellent. If you're looking to step up from cig-a-like (analog) batteries or just take the plunge into vaping, then this is a great kit to switch with. It's simple to use and the battery will last about a day of moderate vaping. This kit also comes with a Free 30 ml bottle of Halo e-liquid in your choice of flavor. The Tracer starter kit currently costs $60 and Halo offers Free shipping on orders over $75. Halo Cigs also offers products for all levels of vapers. Sign up to for a chance to win a $250 gift card!